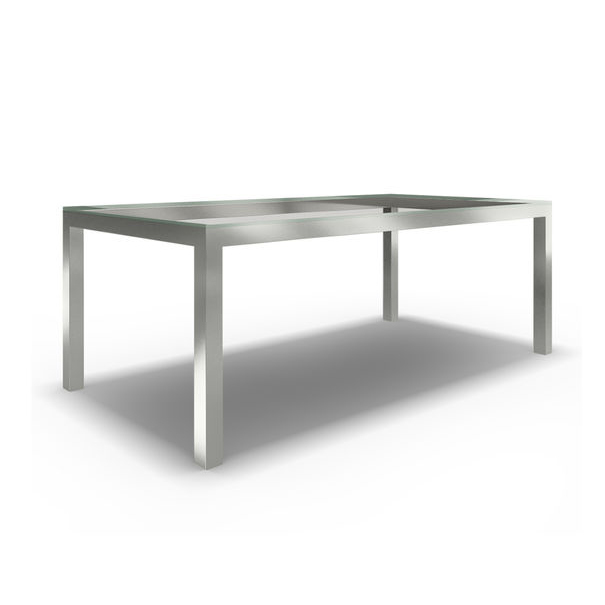 Inquire for pricing and availability. 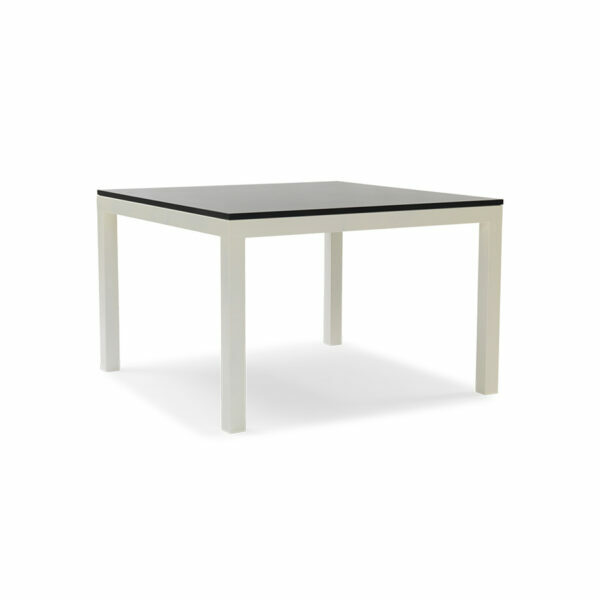 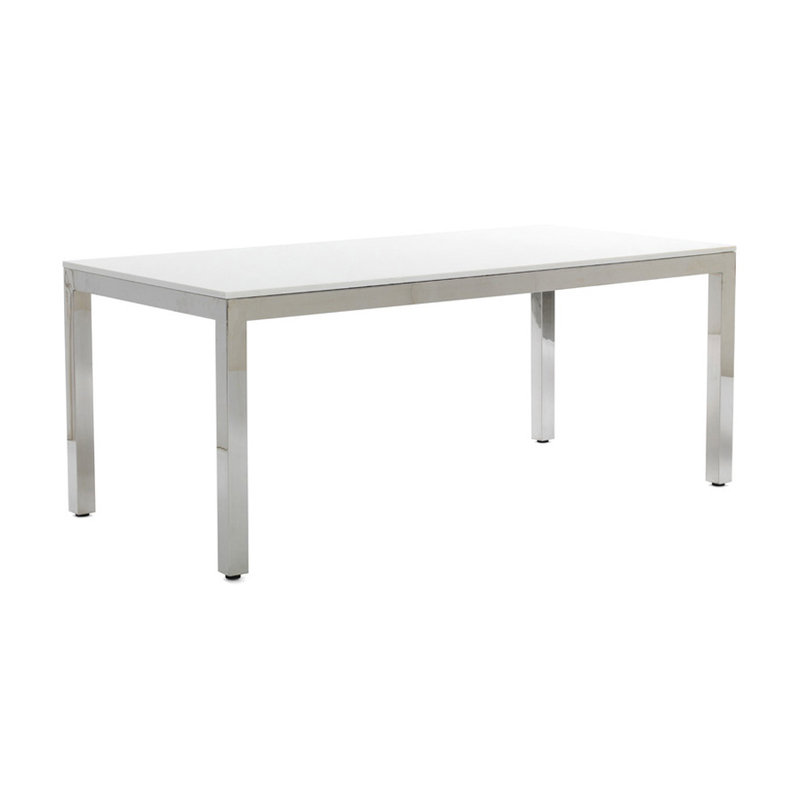 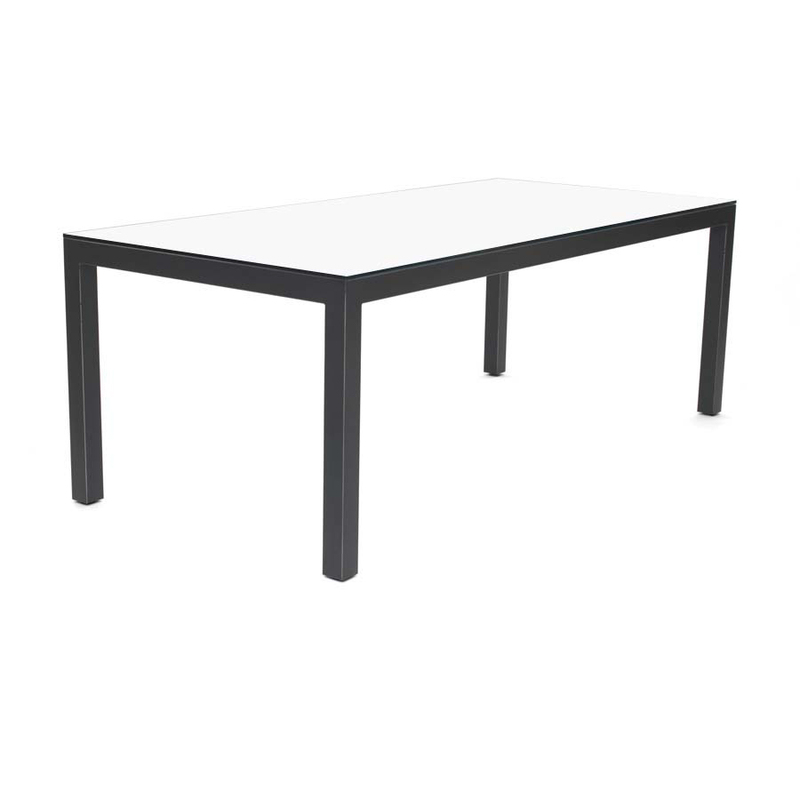 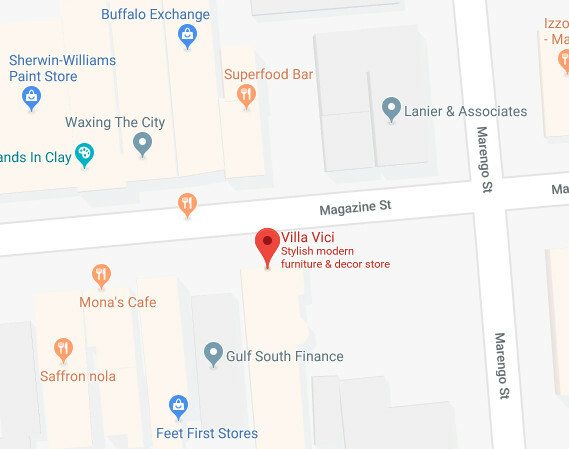 Iconic style with so much flair, ready to be customized for your space and decor: Start with a simple and sophisticated rectangular metal table base in your choice of sizes: 46″ square, 60″ wide, 72″ wide or 84″ wide. Choose from four base finishes: powder white, polished stainless steel, vintage brass or dark bronze. 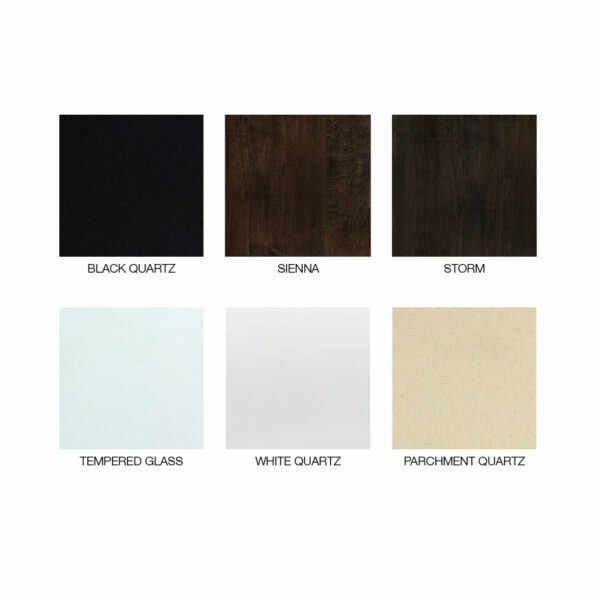 Choose from six top options: clear tempered glass, black quartz, white quartz, parchment quartz, or US-made solid maple in two finishes (Sienna or Storm). Wood tops and bronze bases are made in the USA.